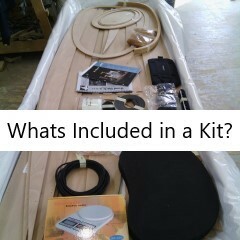 Whats included in a kit? 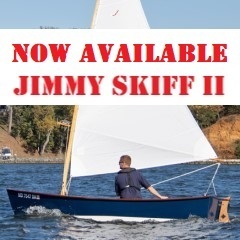 Gartside 10' clinker dinghy "Selkie"
For further information on the Gartside 10' please contact us. 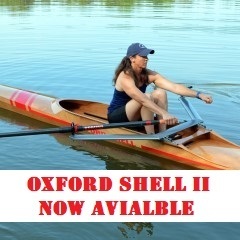 We have built many of these boats over the last few years and they are very popular. 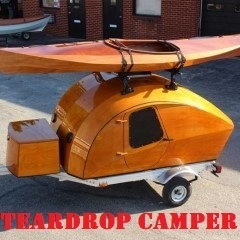 They are designed by well known designer/boat builder Paul Gartside from Nova Scotia. Paul has many beautiful traditional designs both larger and smaller and spending half an hour browsing his designs is certainly time well spent in anyone's life. 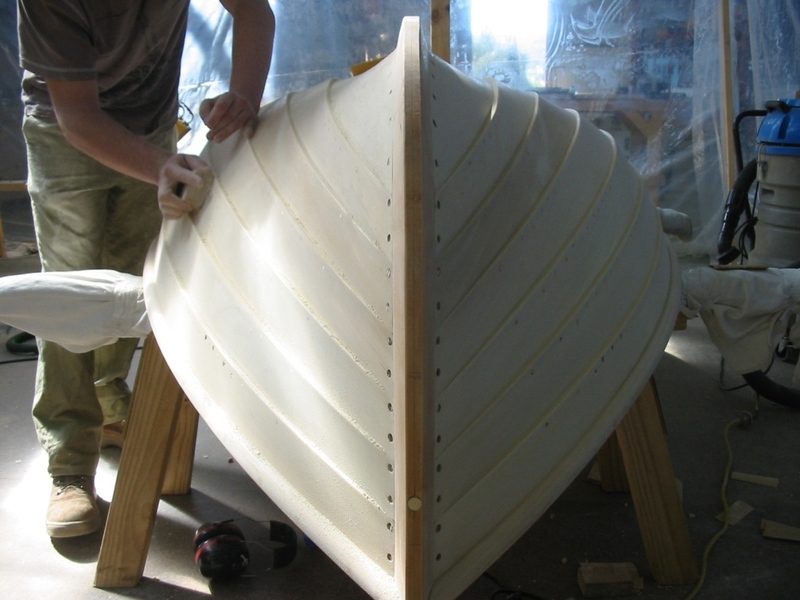 We build these boats using the finest traditional clinker construction methods and Tasmania's world renowned endemic boat building timbers. They are normally planked in Huon and King Billy pine with a Celery Top pine backbone and frames. The fit out features grown Huon knees and breasthook and King Billy pine thwarts and is just stunning. 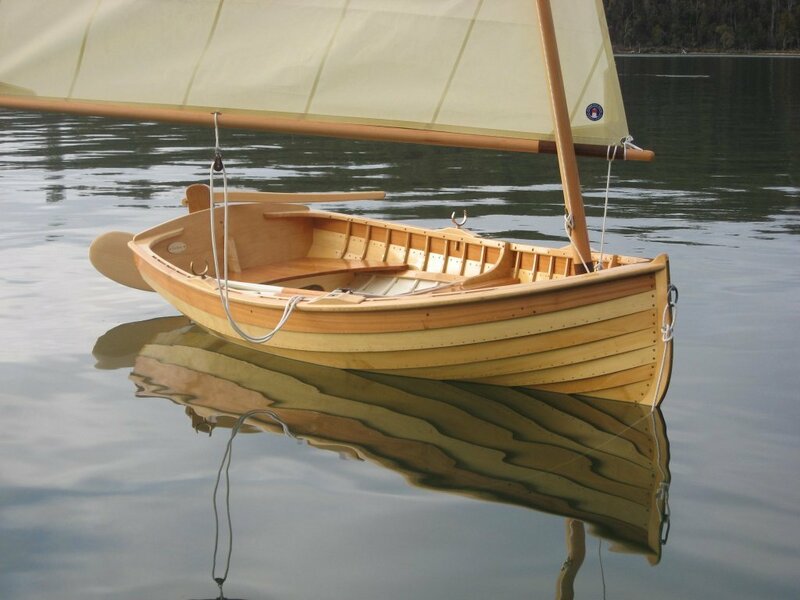 The boats row and sail beautifully and are a great one for pottering through shallow bays, rivers and inlets - just the thing for modern day Swallows and Amazons. 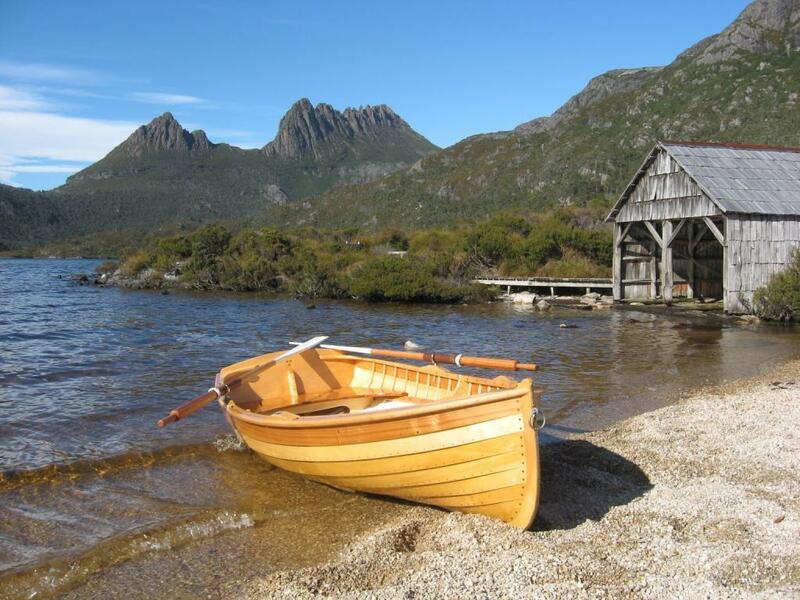 The picture below right is of "Selkie" on location at Dove Lake, Cradle Mountain, Tasmania for the shooting of the FFA's advertisement for the 2018 Soccer World Cup. 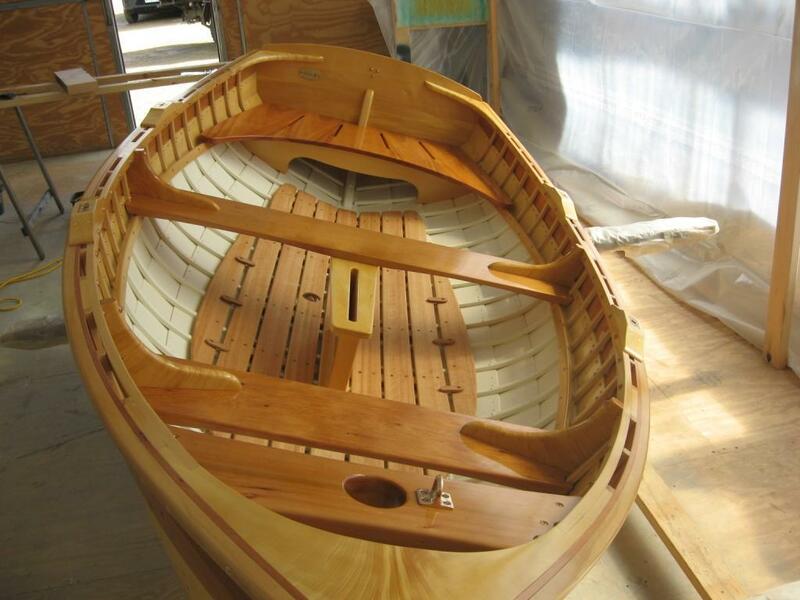 Denman Marine specialises in custom wooden boat building and repair. We utilise both traditional methods such as carvel or clinker and modern methods such as strip planking, cold molding or clinker plywood. We can custom build to any design - for example those by Iain Oughtred, David Payne, Paul Gartside, John Welsford, Mark Bowdidge, Francois Vivier, Atkin , Bolger B&B etc. 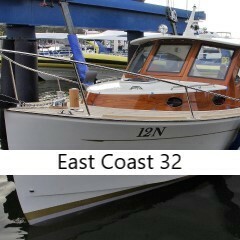 We are a small team of Australian wooden boat builders based in Kettering Tasmania, and are the sole Australian agents for Swallow Boats (UK) including the BayRaider, the Australian importer and re-seller of the world renowned Bruynzeel BS1088 Gaboon Marine Plywood (Lloyds certified), Barton Marine products (UK) and Australian agent for Chesapeake Light Craft wooden kit boats (USA). 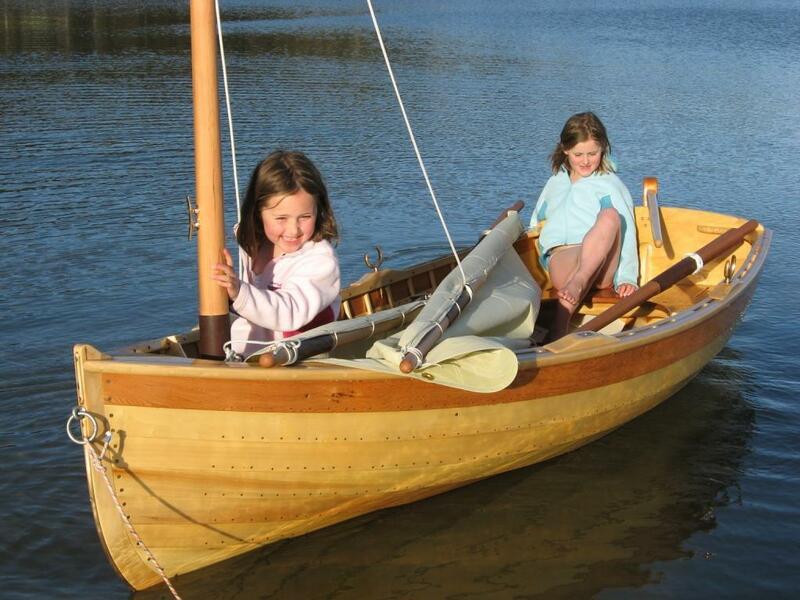 Denman Marine are proud builders of Wooden Boats in Australia.